New papers on microbiology of the built environment, May 13, 2016 – microBEnet: the microbiology of the Built Environment network. Today was an exciting day in the microbiology world with the launch of the White House OSTP National Microbiome Initiative in Washington, where the Who Is Who of microbiome research was gathered. Too bad I was not there! But I’ve compiled another set of nice papers and news articles on the microbiology of the built environment. 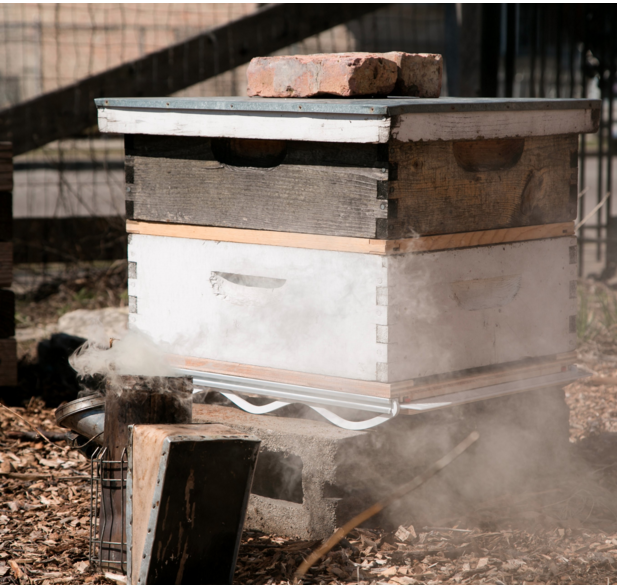 A year ago, MIT professor Kevin Slavin knew nothing about bees. Now he’s so close to his bees, he’s given them a pet name: “citizen scientists.” Over the last year, Slavin, who founded the Playful Systems group at MIT’s Media Lab, has developed methods of unleashing bees into cities and analyzing what they leave behind in their hives. Such “bee debris” could help scientists understand the genetic makeup of the world around them. (…) The MIT Media Lab teamed up with the Mason Lab at Weill Cornell Medical College to design a metagenomics beehive, essentially, one that catches bees’ “poop and garbage” when they return from visiting flowers. DNA may be extracted from the debris and sequenced to reveal its microbial contents. Antibiotic-resistant infections annually claim hundreds of thousands of lives worldwide. This problem is exacerbated by exchange of resistance genes between pathogens and benign microbes from diverse habitats. Mapping resistance gene dissemination between humans and their environment is a public health priority. 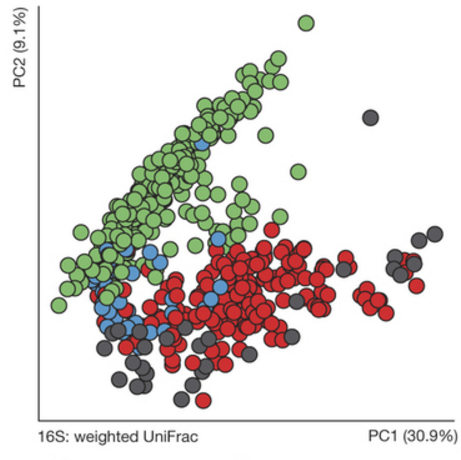 Here we characterized the bacterial community structure and resistance exchange networks of hundreds of interconnected human faecal and environmental samples from two low-income Latin American communities. We found that resistomes across habitats are generally structured by bacterial phylogeny along ecological gradients, but identified key resistance genes that cross habitat boundaries and determined their association with mobile genetic elements. 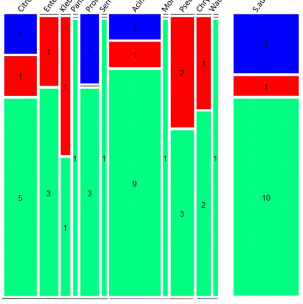 We also assessed the effectiveness of widely used excreta management strategies in reducing faecal bacteria and resistance genes in these settings representative of low- and middle-income countries. Our results lay the foundation for quantitative risk assessment and surveillance of resistance gene dissemination across interconnected habitats in settings representing over two-thirds of the world’s population. Health care—associated infections (HAIs) and drug-resistant pathogens have become a major health care issue with millions of reported cases every year. Advanced diagnostics would allow clinicians to more quickly determine the most effective treatment, reduce the nonspecific use of broad-spectrum antimicrobials, and facilitate enrollment in new antibiotic treatments. 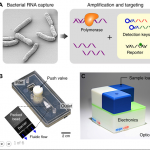 We present a new integrated system, polarization anisotropy diagnostics (PAD), for rapid detection of HAI pathogens. The PAD uses changes of fluorescence anisotropy when detection probes recognize target bacterial nucleic acids. The technology is inherently robust against environmental noise and economically scalable for parallel measurements. The assay is fast (2 hours) and performed on-site in a single-tube format. When applied to clinical samples obtained from interventional procedures, the PAD determined the overall bacterial burden, differentiated HAI bacterial species, and identified drug resistance and virulence status. The PAD system holds promise as a powerful tool for near-patient, rapid HAI testing. Total microbial community structure, and particularly nitrifying communities inhabiting five different small drinking water networks characterized with different water physical and chemical parameters was investigated, using cultivation-based methods and sequence aided Terminal Restriction Fragment Length Polymorphism (T-RFLP) analysis. (…) The sequence aided T-RFLP method revealed that ammonia-oxidizing microorganisms and nitrite-oxidizing Bacteria (Nitrosomonas oligotropha, Nitrosopumilus maritimus, and Nitrospira moscoviensis, ‘Candidatus Nitrospira defluvii’) were present in different ratios in the total microbial communities of the distinct parts of the water network systems. The nitrate generated by nitrification was partly utilized by nitrate-reducing (and denitrifying) Bacteria, present in low MPN and characterized by sequence aided T-RFLP as Comamonas sp. and Pseudomonas spp. Different environmental factors, like pH, chemical oxygen demand, calculated total inorganic nitrogen content (moreover nitrite and nitrate concentration), temperature had important effect on the total bacterial and archaeal community distribution. 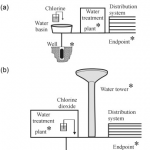 Chlorine is the most commonly used agent for general disinfection, particularly for microbial growth control in drinking water distribution systems. 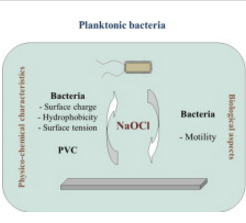 The goals of this study were to understand the effects of chlorine, as sodium hypochlorite (NaOCl), on bacterial membrane physicochemical properties (surface charge, surface tension and hydrophobicity) and on motility of two emerging pathogens isolated from drinking water, Acinetobacter calcoaceticus and Stenotrophomonas maltophilia. 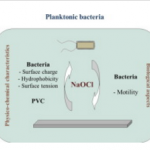 (…) In conclusion, understanding the antimicrobial susceptibility of microorganisms to NaOCl can contribute to the design of effective biofilm control strategies targeting key microorganisms, such as S. maltophilia, and guarantying safe and high-quality drinking water. 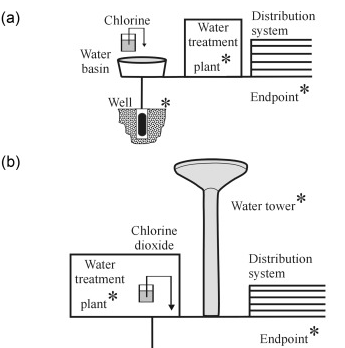 Moreover, the results reinforce that biofilms should be regarded as chronic contaminants of drinking water distribution systems and accurate methods are needed to quantify their presence as well as strategies complementary/alternative to NaOCl are required to effectively control the microbiological quality of drinking water. Landfills are the final repository for most of the discarded material from human society and its “built environments.” Microorganisms subsequently degrade this discarded material in the landfill, releasing gases (largely CH4 and CO2) and a complex mixture of soluble chemical compounds in leachate. 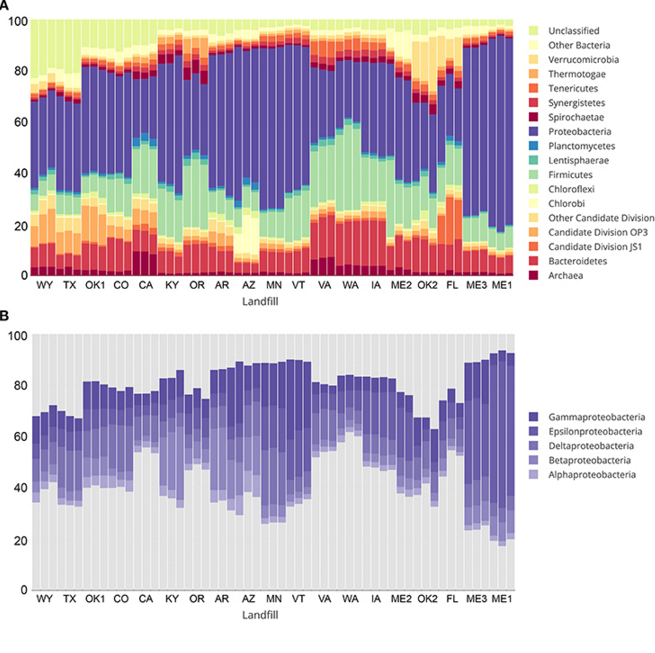 Characterization of “landfill microbiomes” and their comparison across several landfills should allow the identification of environmental or operational properties that influence the composition of these microbiomes and potentially their biodegradation capabilities. To this end, the composition of landfill microbiomes was characterized as part of an ongoing USGS national survey studying the chemical composition of leachates from 19 non-hazardous landfills across 16 states in the continental U.S. (…) This study illustrates how leachate microbiomes are distinct from those of other natural or built environments, and sheds light on the major selective forces responsible for this microbial diversity. The Red Sea is considered one of the youngest oceanic systems, with unique physical, geochemical and biological characteristics. Tourism, industrialization, extensive fishing, oil processing and shipping are extensive sources of pollution in the Red Sea. We analyzed the geochemical characteristics and microbial community of sediments along the Egyptian coast of the Red Sea. 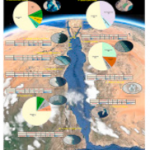 (…) Based on the taxonomic assignments of the 16S rRNA Pyrotags to major bacterial groups, we report 30 taxa constituting an Egyptian Red Sea Coastal Microbiome. Bacteria that degrade hydrocarbons were predominant in the majority of the sites, particularly in two ports where they reached up to 76% of the total identified genera. In contrast, sulfate-reducing and sulfate-oxidizing bacteria dominated two lakes at the expense of other hydrocarbon metabolizers. 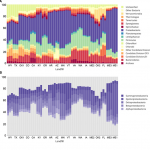 Despite the reported “Egyptian Red Sea Coastal Microbiome,” sites with similar anthropogenic pollutants showed unique microbial community abundances. 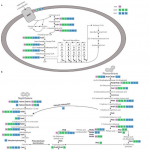 This suggests that the abundance of a specific bacterial community is an evolutionary mechanism induced in response to selected anthropogenic pollutants. Discharge of untreated sewage into Antarctic environments presents a risk of introducing non-native microorganisms, but until now, adverse consequences have not been conclusively identified. 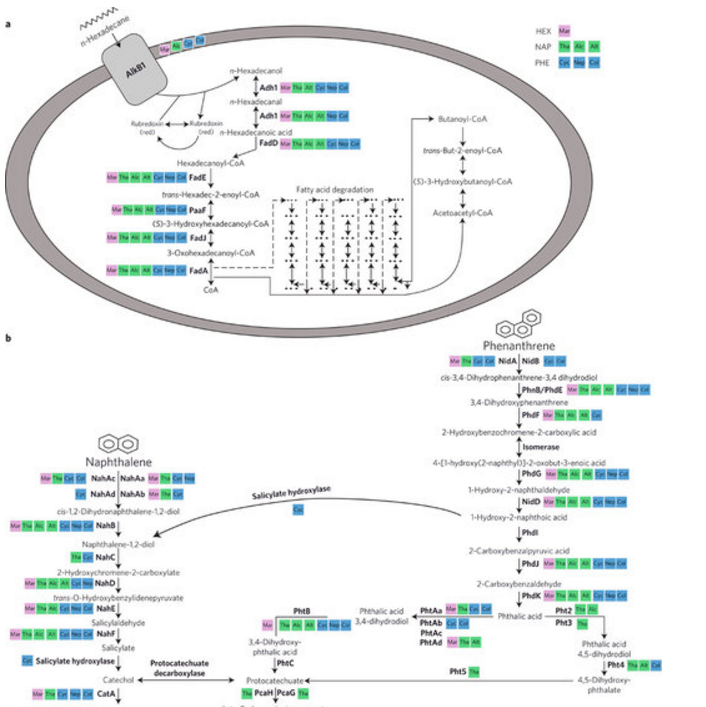 Here we show that sewage disposal introduces human derived Escherichia coli carrying mobile genetic elements and virulence traits with the potential to affect the diversity and evolution of native Antarctic microbial communities. We compared E. coli recovered from environmental and animal sources in Antarctica to a reference collection of E. coli from humans and non-Antarctic animals. 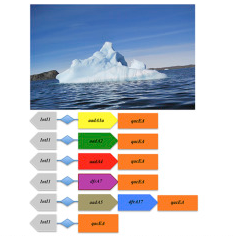 The distribution of phylogenetic groups and frequency of 11 virulence factors amongst the Antarctic isolates were characteristic of E. coli strains more commonly associated with humans.(…). Disposing untreated sewage into the Antarctic environment does disseminate non-native microorganisms, but the extent of this impact and implications for Antarctic ecosystem health are, as yet, poorly understood. 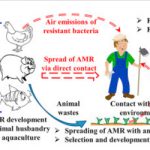 Exposure to pathogens among workers in a poultry slaughter and processing plant – Yaqi You – American Journal of Industrial Medicine ($6 to rent, $38 to own). Note EB: “GNO” = gram-negative organisms. Working conditions in poultry slaughter/processing plants may expose workers to zoonotic pathogens. We explored exposure to pathogens among poultry slaughter/processing plant workers including job duties as risk factors. We collected questionnaire data on job duties and nasal swabs from 110 workers at one plant in South Carolina. Swabs were tested for Staphylococcus aureus and gram-negative organisms. Isolates were screened for antimicrobial susceptibility. There was no differences in prevalence of S. aureus carriage based on job duties. As compared with office or packing workers, the adjusted odds of GNO carriage was 6.29 times (95% CI: 1.43, 27.71) higher in slaughter or carcass processing workers and 5.94 times (95% CI: 0.94, 37.50) higher in cleaning or maintenance workers. Poultry processing plant workers may have increased exposure to GNOs, depending on job duties. 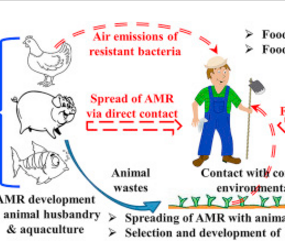 The overuse and misuse of veterinary drugs, particularly antimicrobials, in food animal production in China cause environmental pollution and wide food safety concerns, and pose public health risk with the selection of antimicrobial resistance (AMR) that can spread from animal populations to humans. (…) So far the regulatory ban on non-therapeutic use has failed to bring major changes to the long-standing practice of drug overuse and misuse in animal husbandry and aquaculture, and significant improvement in its implementation and enforcement is necessary. A range of measures, including improving access to veterinary services, strengthening supervision on veterinary drug production and distribution, increasing research and development efforts, and enhancing animal health management, are recommended to facilitate transition toward rational use of veterinary drugs, particularly antimicrobials, and to reduce the public health risk arising from AMR development in animal agriculture. 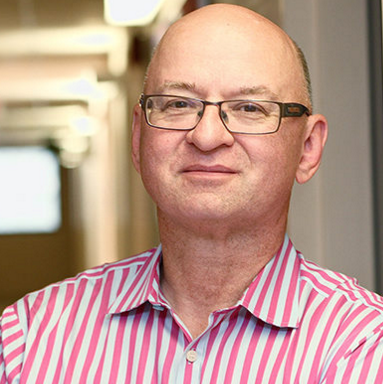 Schulich School of Medicine & Dentistry professor Michael Rieder has developed a rapid testing kit to detect E. coli 0157, most commonly found in ground meat. The Robarts Research Institute scientist said the test takes the results from a week to just 24 hours. (..) “Our rapid-testing kit takes it from about a week to 24 hours. Ideally, we can stop the product from leaving the facility,” he said, equating the test’s simplicity to pregnancy tests — one line for negative, two lines for positive. (…) Through the Health Canada-certified Agriculture and Food Laboratory at the University of Guelph, Rieder has been working on getting final approval, which he expects in the next couple months. Rieder stressed there is a need for similar testing kits for other potentially dangerous bacteria, such as listeria, salmonella and campylobacter.